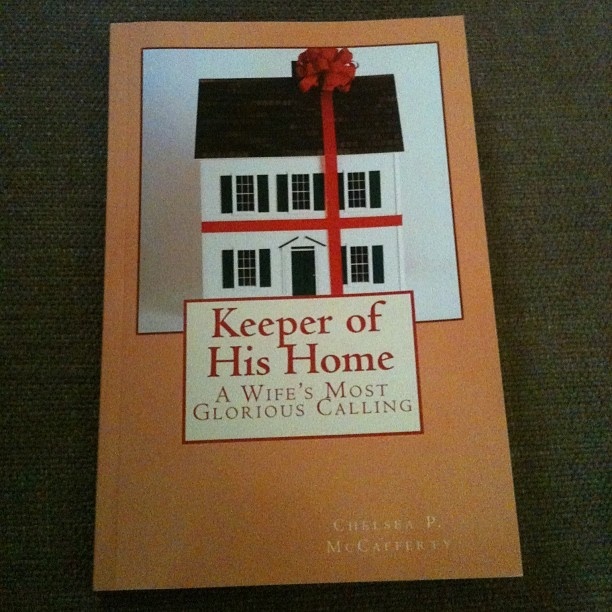 “Keeper of His Home” is the first book in “The Keeper Series” by author Chelsea P. McCafferty. The book is an encouraging, inspiring look at what God’s Word is for Christian women in their beautiful roles at home. Taking the term “Keeper at home” from Titus 2, we go on a literary tour through an allegorical home. Each room holds a new encouragement for how a wife and mother can serve her family, friends and even the lost. This is a very special book and one that you’ll want to share with friends and family. You can order the book in paperback edition or eBook format through Kindle.